From the main menu, click Make ISO. 1. Select the drive that contains the CD/DVD/BD. 2. Specify the path to save the image file. 3. 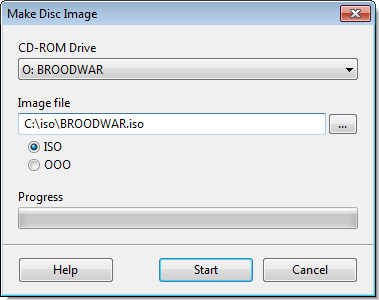 Select the image format of ISO and OOO.